Looking for a silver lining? 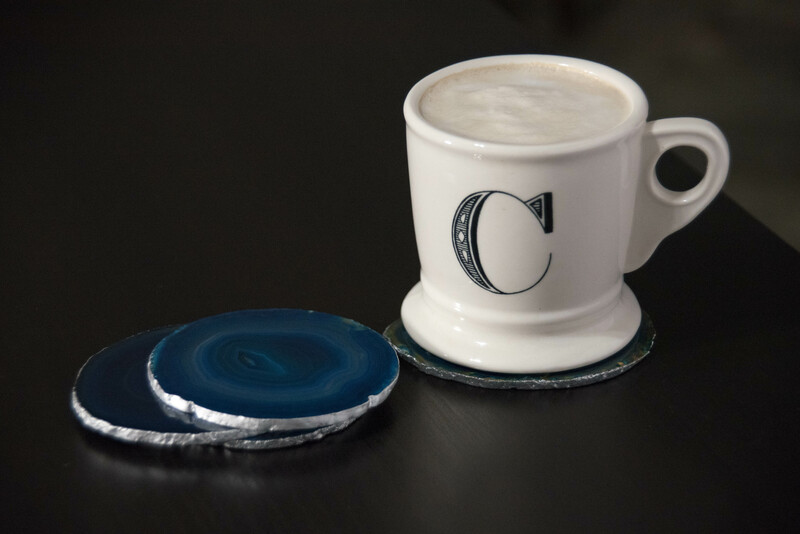 These sleek silver-plated agate coasters are so easy to DIY. Agate slices come in so many beautiful colors. This marine tone works perfectly with our dining and living room, but turquoise and natural stone tones are also a lovely choice. Chris says the silver plating makes it look like they came from the moon. Or maybe we live on the moon. In a moon unit. Sorry (not sorry) for the quirky Frank Zappa reference. The silver plating looks great with our decor, but gold plating is another popular choice for a similar effect. You can also skip the plating for an even simpler diy. Raw organic agate edges look striking against a polished rock surface and it doesn’t necessarily need an embellishment. When the agate arrived in the mail, Chris kind of rolled his eyes at yet another package for me. But when I opened it, he excitedly declared that this was the coolest package I had received at the house so far. He’s right! The agate is a fantastic accent. If I had known how well these were going to turn out, I would have ordered more agate slices. This diy is inspired by Jamie Harrington’s project from Totally the Bomb. She found this great agate vendor, which is where my agate slices were ordered from. If you do the same, make sure to specify that you’d like rounder shapes. I found a few vendors on AliExpress that had the lowest cost for agate slices, but I didn’t want to wait 6-8 weeks for the agate to arrive. The silver leafing Jamie recommends is high quality, however the label read that there is a chemical in the paint known to cause cancer. So, I went with a silver leaf paint pen. Chris keeps them around the house for his photography work, so they were on hand. You can easily find gold leafing from the same brands. Once you have your hands on some agate, clean and degrease the surface and edges thoroughly. I used windex and water. Take the silver leafing paint and carefully draw a line around the agate disc. 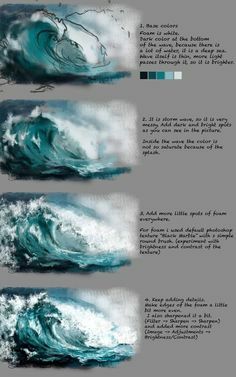 The paint can bleed easily, so remember that slow and steady wins the race. If you accidentally bleed over a bit, use paint thinner or barkeep to remove any excess. The hardest part is finding patience while you paint the leafing. Each one of these slices only took about 10 minutes. Once you’re finished painting the leafing, adhere 3 rubber feet to the bottom of each agate slices to keep them from sliding around on the table. That’s it! This diy is easy as pie. Add a latte and enjoy! If you don’t have the time to make your own gold or silver plated agate coasters, you can always purchase them in stores like Anthropologie for anywhere from $70 to $100. These agate coaster sets look great in your house, and make lovely gifts for anyone!